Hello and welcome to Culture Consumption, my weekly look at the best of pop culture! I still love this song so much. Rising from the ashes of Smoosh, sisters Asy and Chloe have left their childhood behind and created Chaos Chaos, a more mature-sounding version of their former band. This is a spacey, dancey, insanely catchy, indie-pop album that will leave you marveling at the fact that the sisters are only eighteen and twenty because this is music beyond their years. 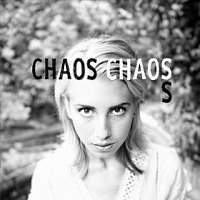 S is only five tracks, but it gives you a sense of the greatness that will come from Chaos Chaos. Consume Now: All five tracks, but listen to the incredible "Antibiotics" first. James Bond films have always been a hit-or-miss affair for me: some have really blown me away, but some have downright sucked. The same can't be said for the music. Most of the official themes from the movies have been downright awesome, with only a clunker or two along the way (Madonna's "Die Another Day"). 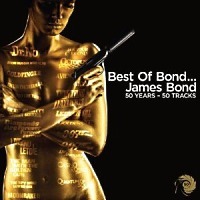 Last week, Capitol/EMI released this double album which collects fifty Bond songs: all twenty-two official themes (except for Adele), Louis Armstrong's excellent "We Have All The Time In The World," and twenty-seven instrumental tracks. Truthfully, except for a few, I became a little bored with the instrumentals after repeated listens, but the first disc is top-notch and full of all the songs you love by some of the biggest names in the history of music: Shirley Bassey (who actually did two Bond themes), Nancy Sinatra, Tom Jones, Paul McCartney, Carly Simon, Sheena Easton, Duran Duran, a-Ha, Gladys Knight, Tina Turner, Sheryl Crow, Garbage, Soundgarden's Chris Cornell, Alicia Keys, and Jack White. Consume Now: Opt for the single-disc version (and skip over the Madonna track). 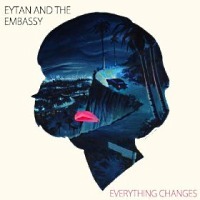 We've reviewed an Eytan And The Embassy live show and spent Seven Questions In Heaven with Eytan, so you know we're obviously fans. So what do I think of Everything Changes? Simply put, it's one of the five best albums of 2012. The songs are happy and peppy, an indie-soul-pop hybrid, and sound at times like Crowded House mixed with Elvis Costello mixed with the Beatles and backed by some Motown horns. It's a damn amazing album from start to finish. Consume Now: The entire album. And get a copy for your best friend while you're at it.